The Great Earthquake happened in 1906. 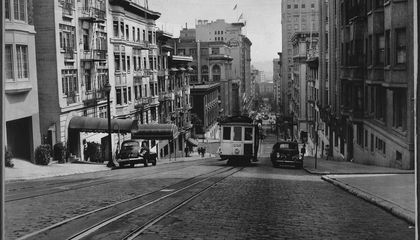 Before that, there were more than 600 cable cars in San Francisco. By 1912, there were less than 100. Today, there are 40. A cable car must be replaced. This happens every few years. The process is similar to building a sailboat. It is also like making high-end cabinetry. It involves several dozen people. These include Union carpenters. It includes machinists. It includes electric transit mechanics. It includes painters. It includes glaziers It includes pattern makers. And in includes transit operators. They take great pride in a world-renowned tradition of craftsmanship. New cable cars are built in San Francisco’s trendy Dogpatch neighborhood. It is a former shipbuilding area. It is on the former site of the old Tubb’s Cordage factory. Building a cable car is an exacting art. It takes several dozen craftsmen. It takes 18 to 24 months to complete. San Francisco’s MUNI system has a lot of historic vehicles. But not all of them are cable cars. "A Streetcar Named Desire" is by Tennessee Williams. In that play he created what might be America’s most famous public transit vehicle. But it was in New Orleans. San Francisco's Muni system is also famous for its fleet of heritage trolleys. Two such relics are Streetcars No. 913 and 952. These plied New Orleans’ “Desire” line. That was along Bourbon Street. And it went through the French Quarter. New Orleans removed the streetcars from this line. That was in 1948. San Francisco acquired two of these 1923 vehicles. They also acquired maintenance permitting—drafts. They put them into service. One of San Francisco’s first African-American streetcar conductors was the poet Maya Angelou. She worked on the Market Street Line. She wrote about the experience in her autobiography. It is called "I Know Why the Caged Bird Sings." Angelou never actually worked for Muni. She left before the two railways merged. That was in 1944. 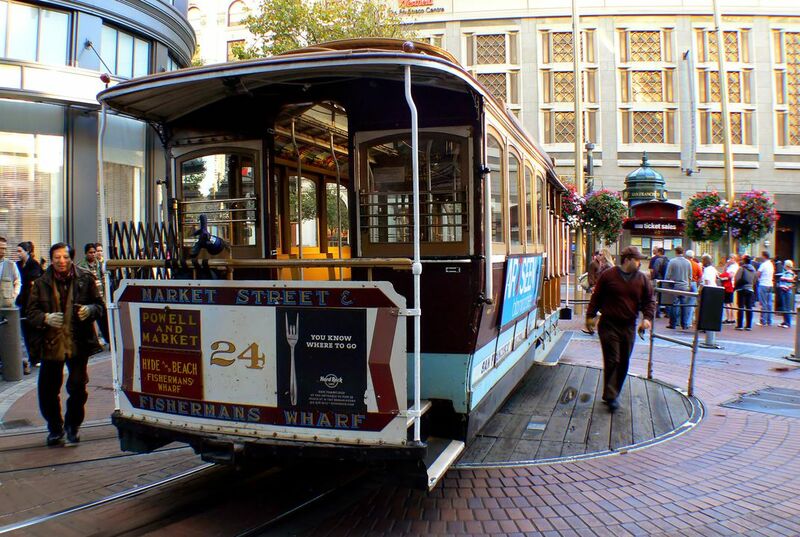 The cable car and trolley and operators have always served as the public face of the San Francisco Muni. Stand-out employees were given “Courtesy Citations.” That was early on. The program became the popular “Muni Man of the Month.” The name was eventually changed to “Person of the Month.” That was after Cable Car conductor Mary Alice Ball won the honor. That was in 1953. It was an open competition. Muni asked the public to “Tell us by note or postcard any unusual example of service and courtesy, giving Muni operator’s cap number.” Twelve drivers each year received cash prizes. Their names were placed in a pool. One of them would win an all-expense-paid trip. It was to Hawaii. San Francisco’s cable cars take two people to operate. It takes a conductor. And it takes a gripman. The gripman has many tasks. One task is handling a 365-pound device. It grabs the cable as it rattles under the track at 9.5 mph. “Gripping” a cable car is a highly demanding physical task. It requires upper body strength. It calls for delicate balance. And it calls for superb eye-hand coordination. Fannie Mae Barnes was 52 when she took Muni’s 25-day grip course. This was in late 1997. She’d been a conductor for six years. No woman had ever made it past the first day of training. Barnes passed. She became the first woman to operate a cable car grip. This was in January 1998. Barnes carried the Olympic torch in 2002. She carried it up Hyde Street. It was part of the relay leading up to the 2002 Winter Olympics in Utah. Several movies have been shot in San Francisco. Many of the movies feature the SF Muni’s cable cars. They feature the trolleys. And they feature streetcars. The films include "Dark Passage" from 1947. It stars Humphrey Bogart. He rides aboard Powell Street car No. 20. "Yours, Mine and Ours" is from 1968. It stars Lucille Ball. And it stars Henry Fonda. They go on a first date. They also ride on a packed Powell Street cable car. "Dirty Harry" is from 1971. It featured streetcar interiors. It was filmed in the Elkton Shops. A Muni driver is seen in "Mrs. Doubtfire." The movie came out in 1993. The driver flirts with Robin Williams' character. That character is Mrs. Doubtfire. The 1995 film "The Net" is set in San Francisco. It stars Sandra Bullock. She rides on the California Line. The cable cars are very popular. These movies likely won’t be the last to feature the iconic railway system.